Does that sound familiar to you?? If so, then I´ve got the perfect solution! 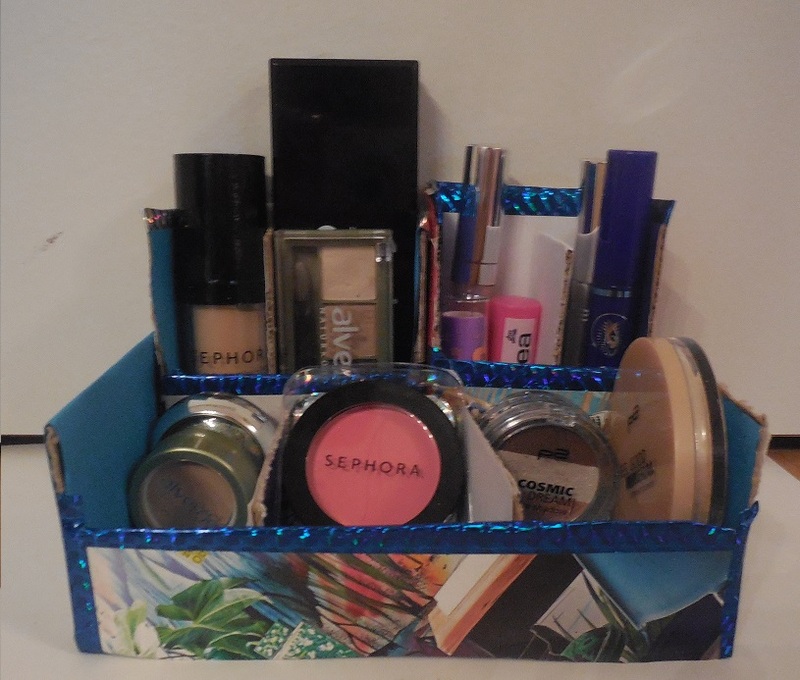 I´ve been stuggeling with this for a long time now, my make-up was all over the place and since I went to Italy (if you want to follow me on my trip, click here) and shopped at Sephora, my make-up collection had grown a lot and wasn´t fitting in the place where I kept them anymore. 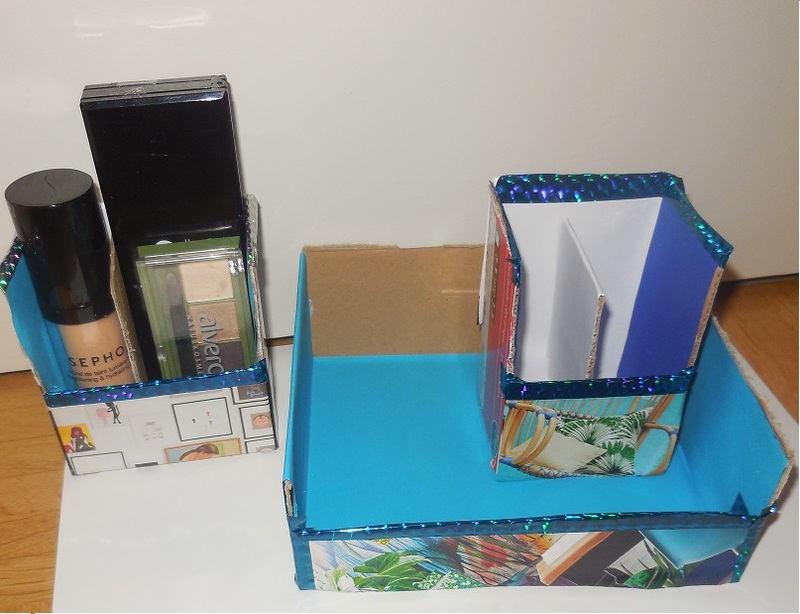 So I took one afternoon, sat down, and I´m so proud of what I came up with, it fit´s perfectly in my room, is so stylish, it holds all my make-up so I can see everything right-away. 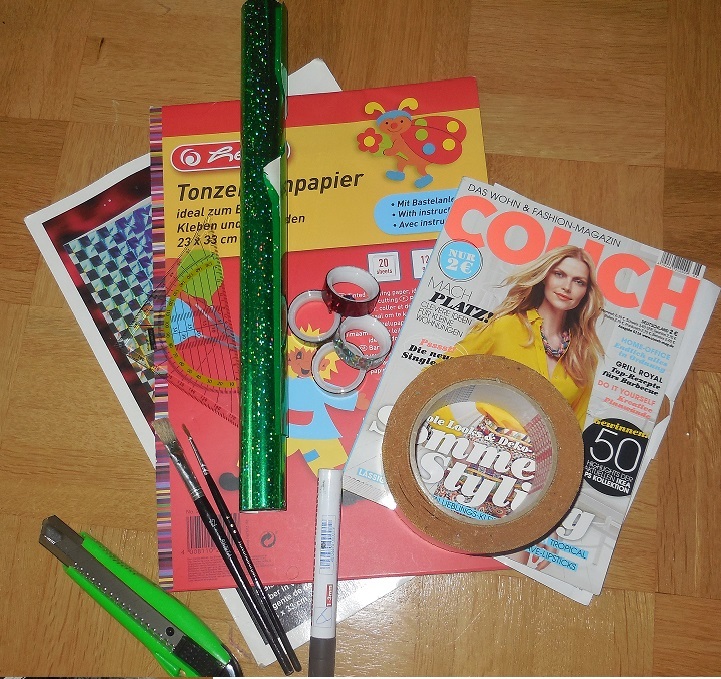 And the best part is it didn´t take me long at all and all the stuff I needed I had lying around my house!! So if you´re interested, just keep on reading! And this is also a nice gift idea for someone who has the same problems as you and I! First of all you´ll need to cut your cardboard boxes to your desired shape or size. 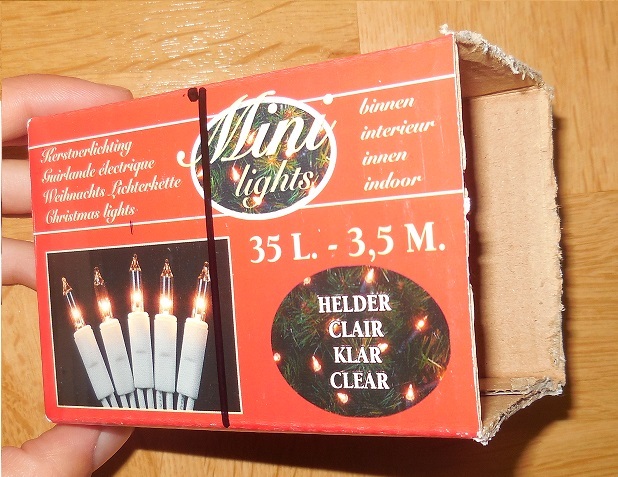 I took the box from the Christmas lights, which were already the size I wanted, so I just cut off one half of the side, the line I marked in black, so I could see what´s in the box when it stands up. You can take just any size or box you want to. I repeated this step twice, for both my boxes. After that came the fun part- decorating! I just took White paper and glued it all around the middle, then I glued blue paper to the sides and cut out a Picture from a Magazine, which fit perfectly. 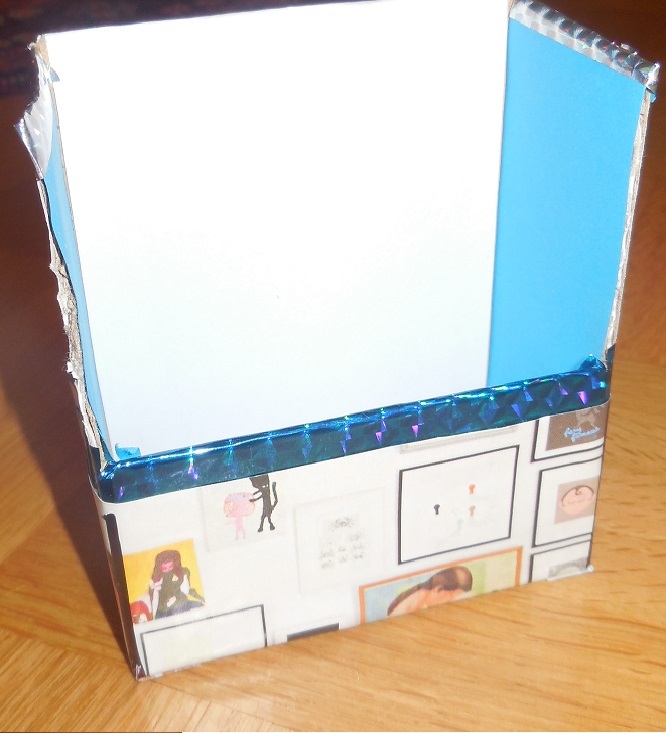 Afterwards I taped Washi Tape on the upper sides of my box, done!! I think it looks so awseome!! 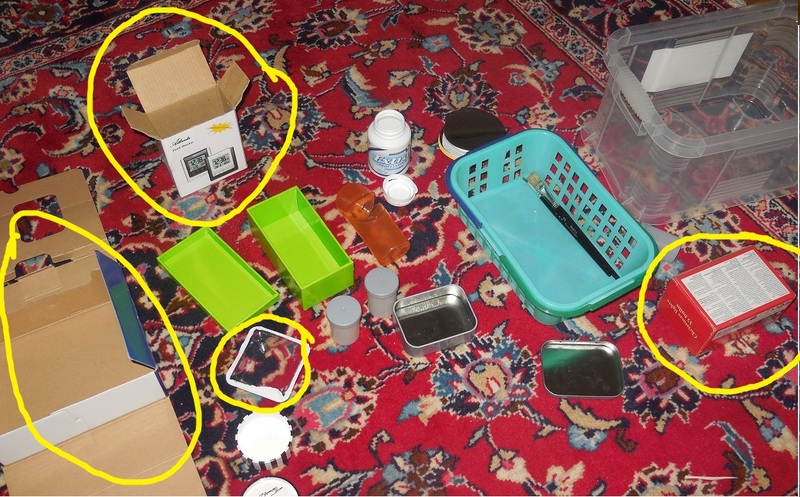 I again repeated this step with the other small box and finally with my big box, which I used as the base and holder of everything else. That´s how it looks like almost done! I just love it! It holds everything so perfectly and organized! I then taped glitter paper to the inside of this plastic-thingy, which now holds my blush. Finally I made dividers, by just cutting them to my desired hight and length and covered them with matching paper. And I was DONE!! Wasn´t that quick and easy?! All that was left to do was put in all my make-up and display it proudly in my room! I hope you enjoyed it as much as I did and if you´ll recreate this DIY, I´d love to see it, just send me a picture and comment and like down below! Thanks! !